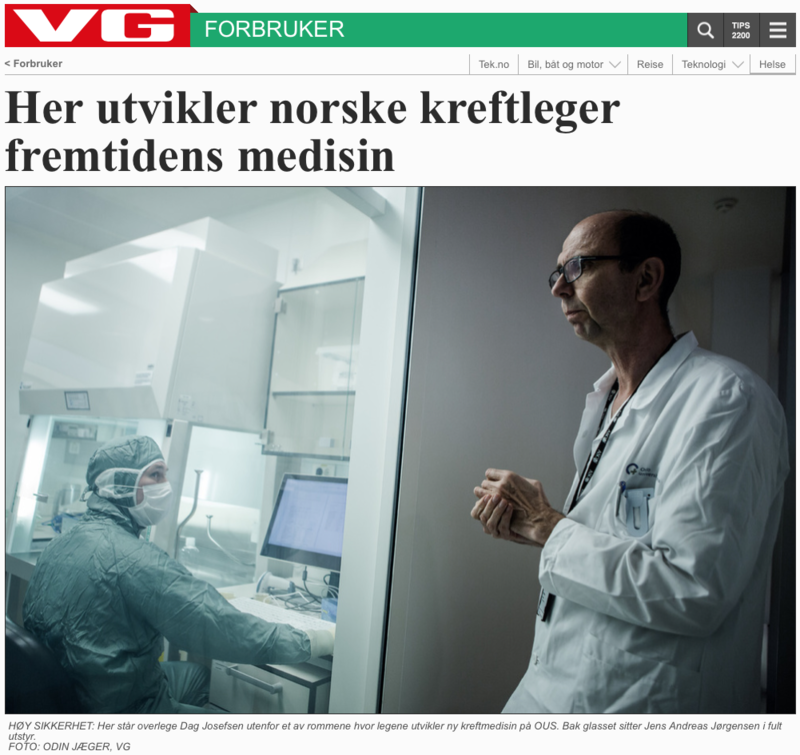 Research on immunotherapy conducted at the Department of Oncology is presented in a feature article in the popular national Norwegian newspaper Verdens Gang (VG) January 9th. The article focuses on recent progress in chimeric antigen receptor (CAR) T cell therapy. For two years, children with leukemia and adults with lymphoma has been treated through clinical studies. Now the project will be expanded with three new studies on lymphomas.